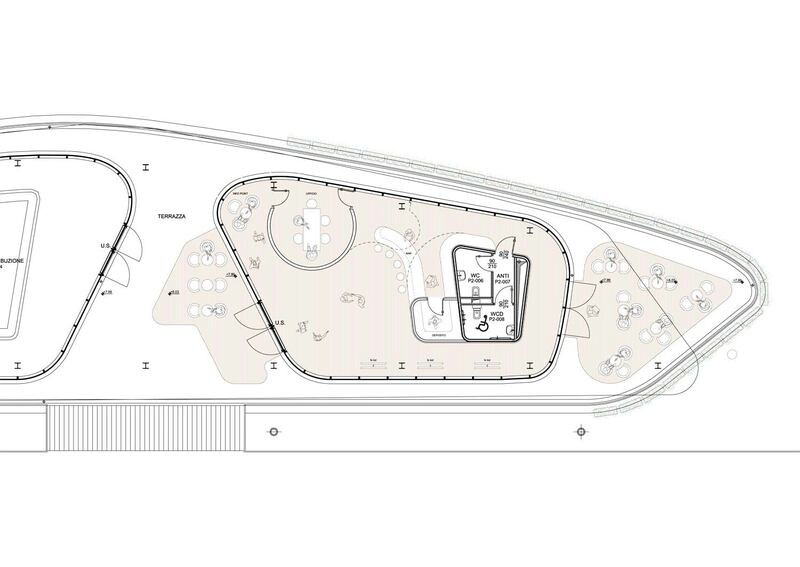 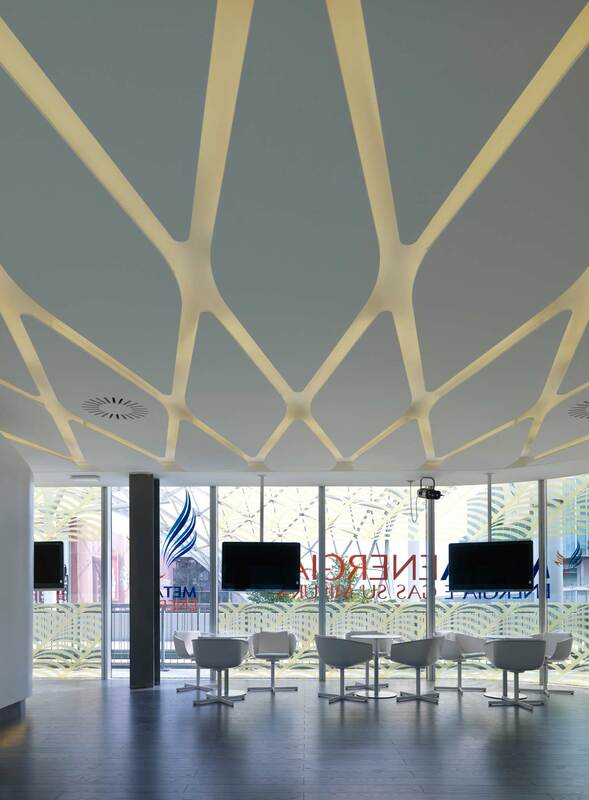 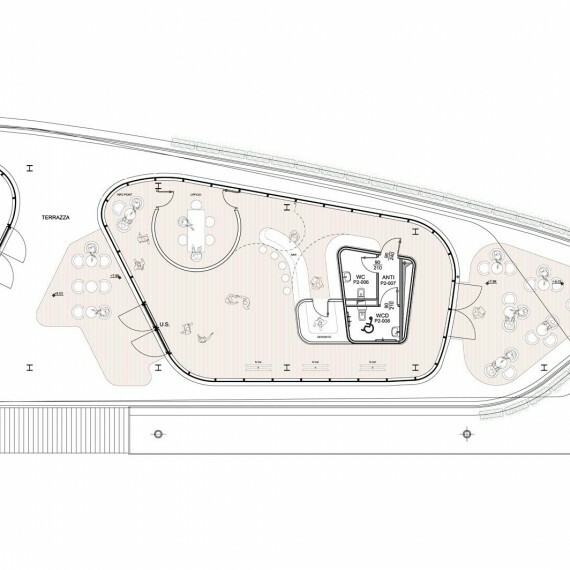 The concept for the fit out of the Metanergia space at the Fiera di Milano stems from the original idea of the Fiera pavilions- those spaces defined by a clear volume, a nucleus, the focus of the space, and the service areas within. 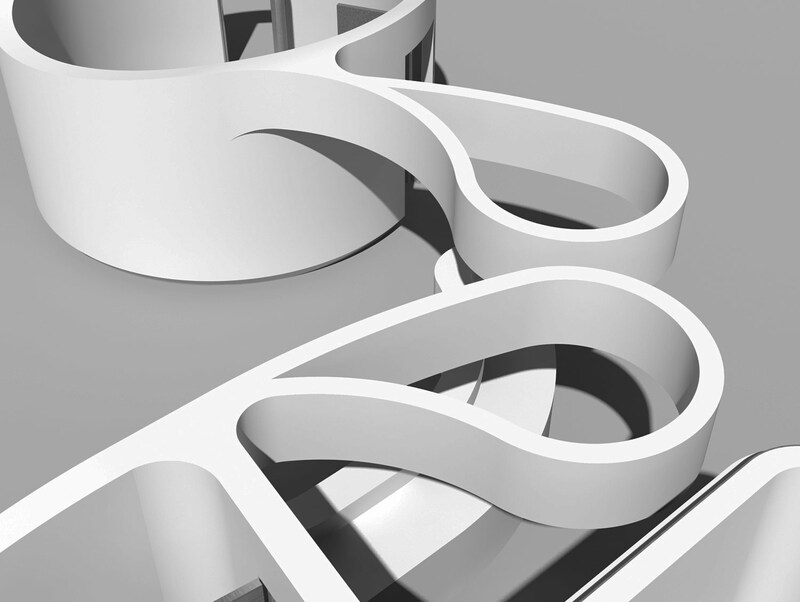 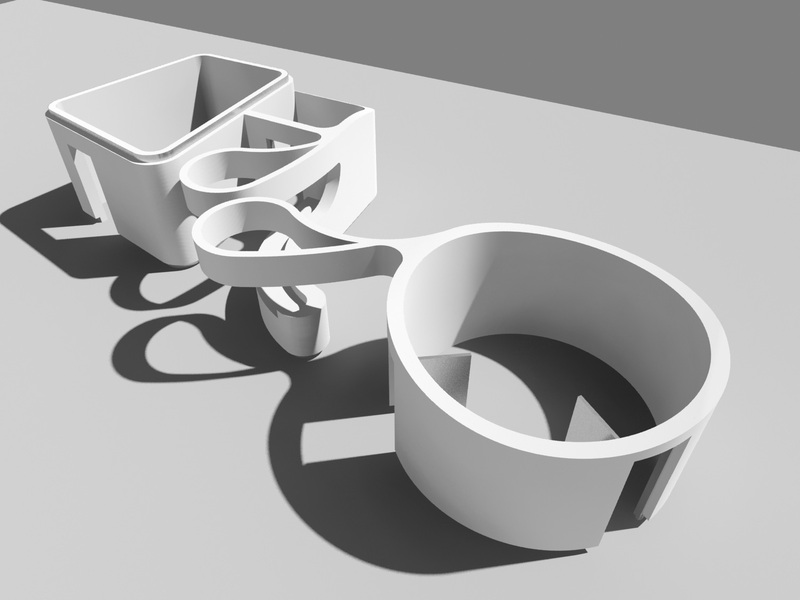 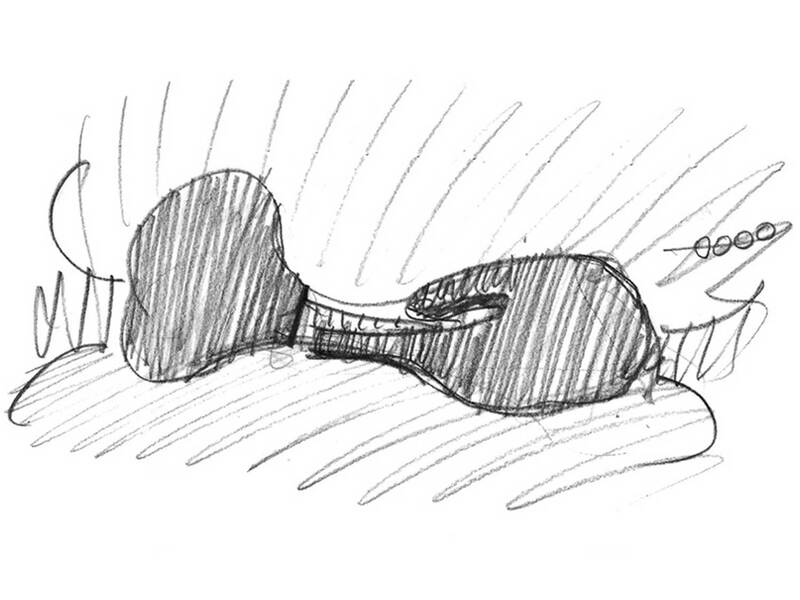 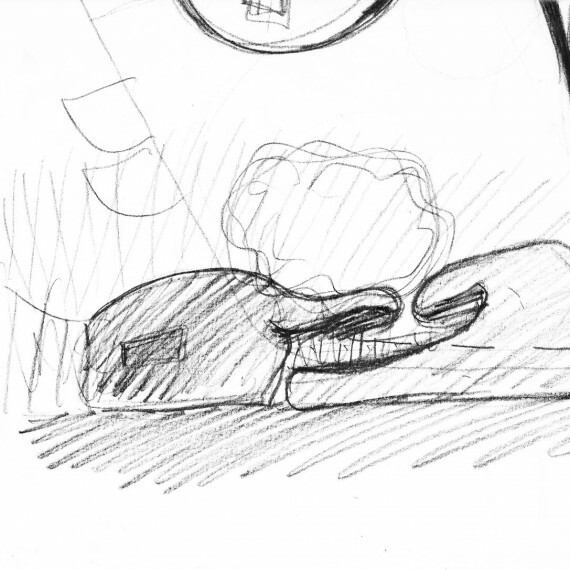 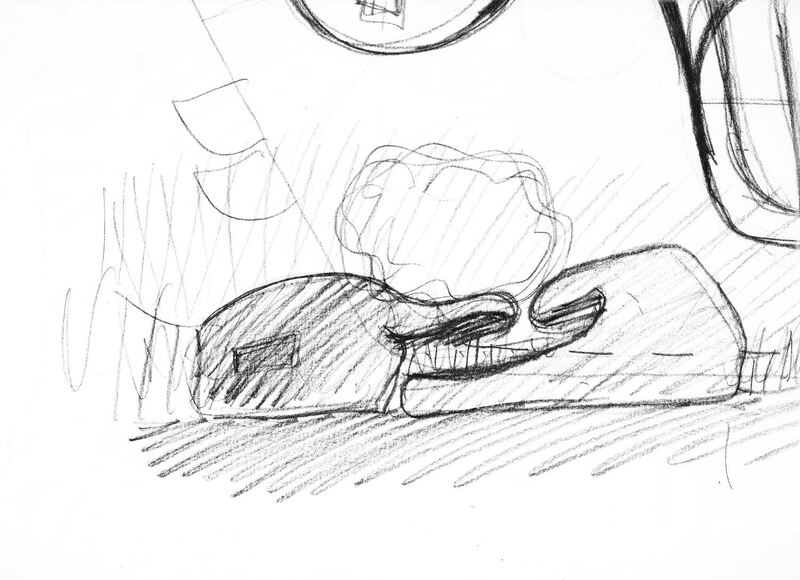 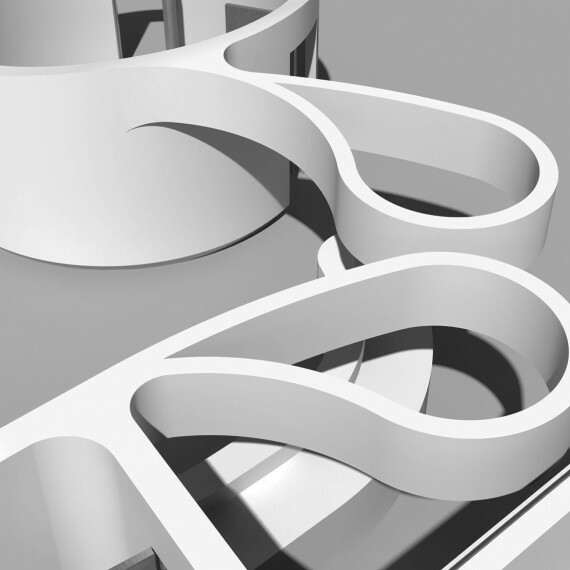 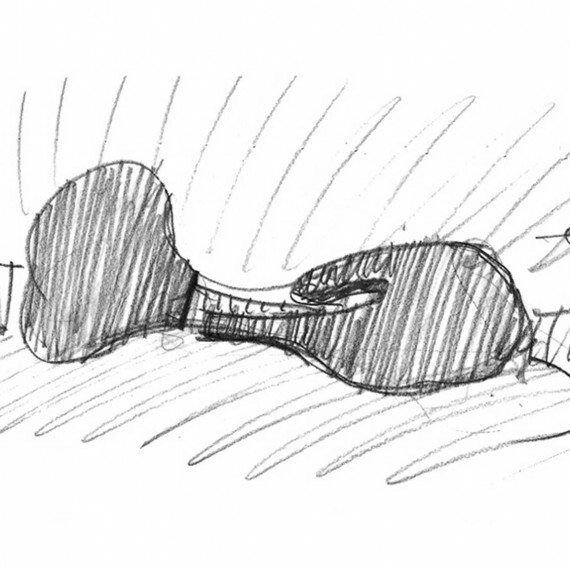 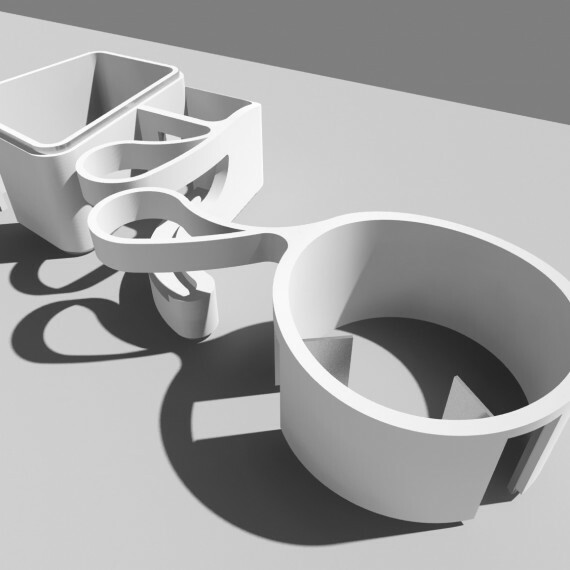 The aim of the project is to reduce the forms and functions required for the stand to a single sinuous element. 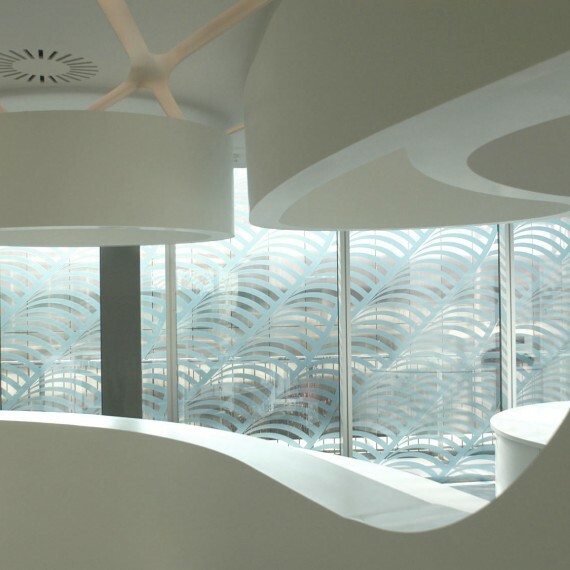 This element evolves organically about the bar and the reception, it flows around the meeting area and services and creates a welcoming, embracing environment. 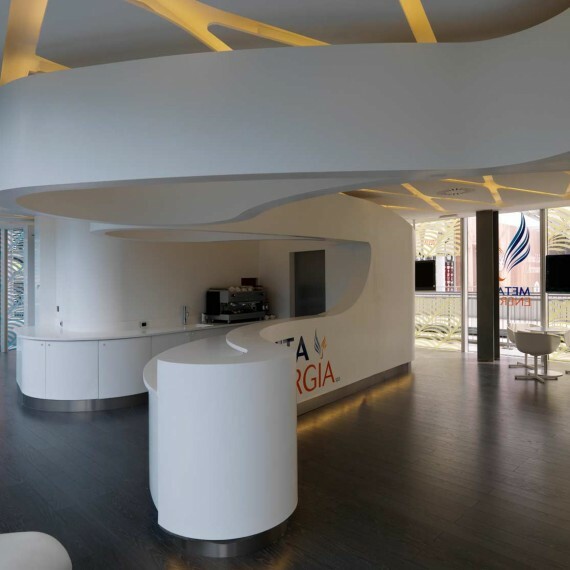 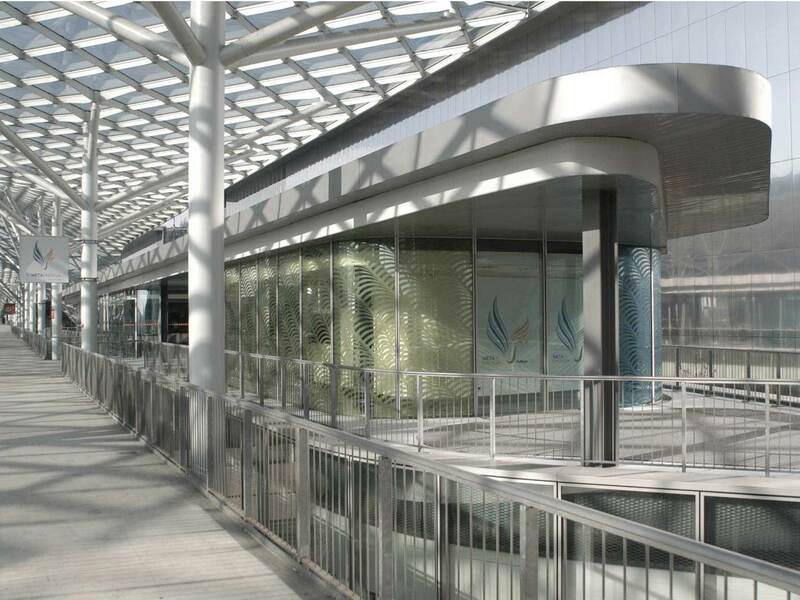 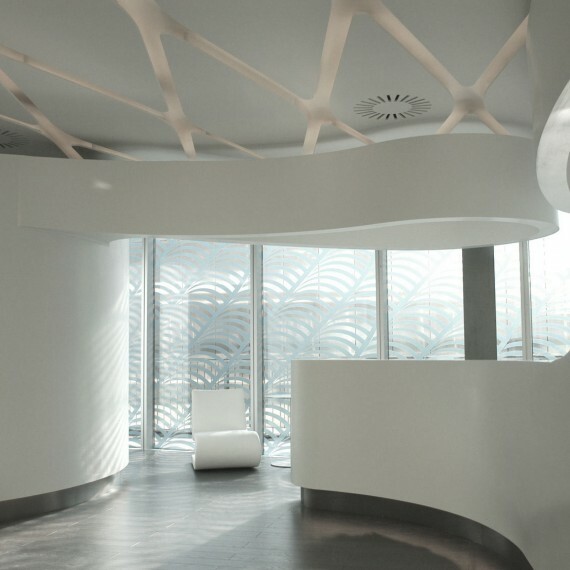 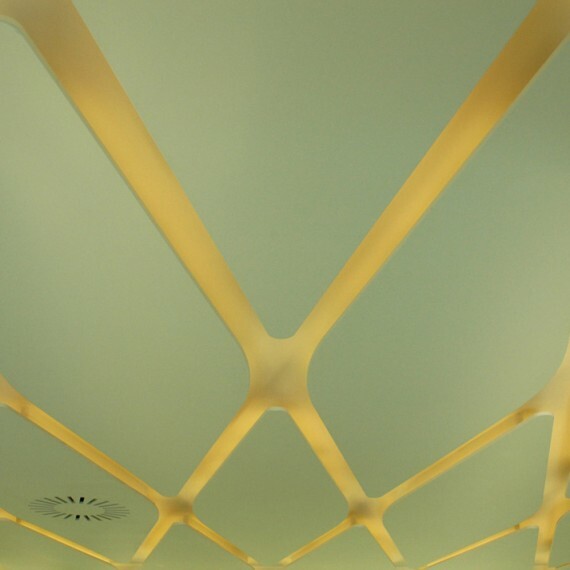 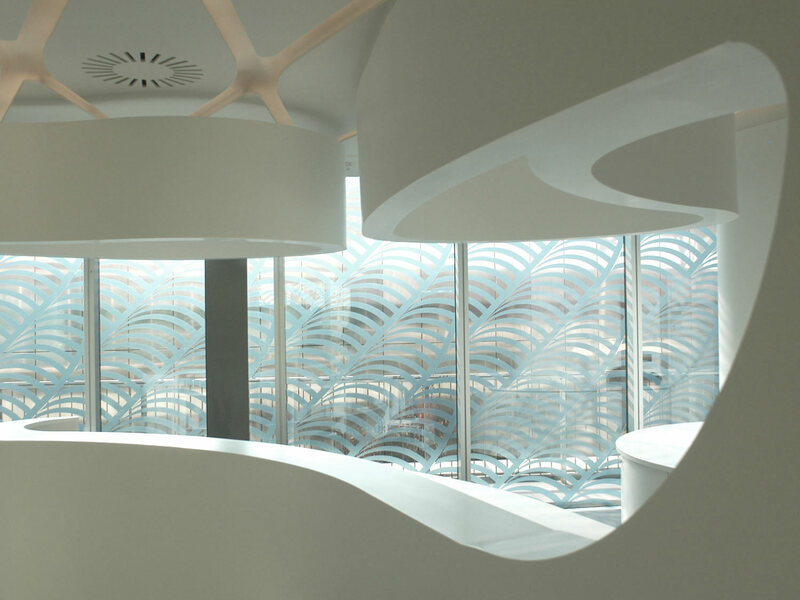 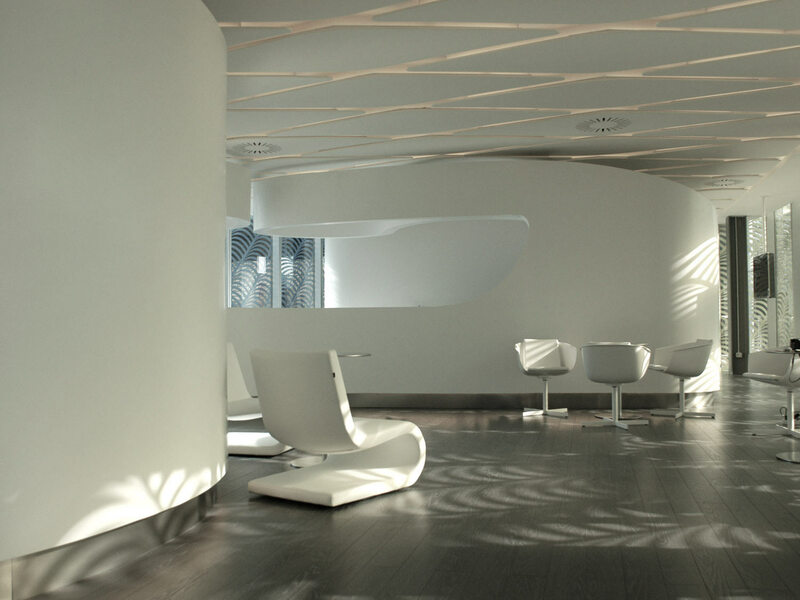 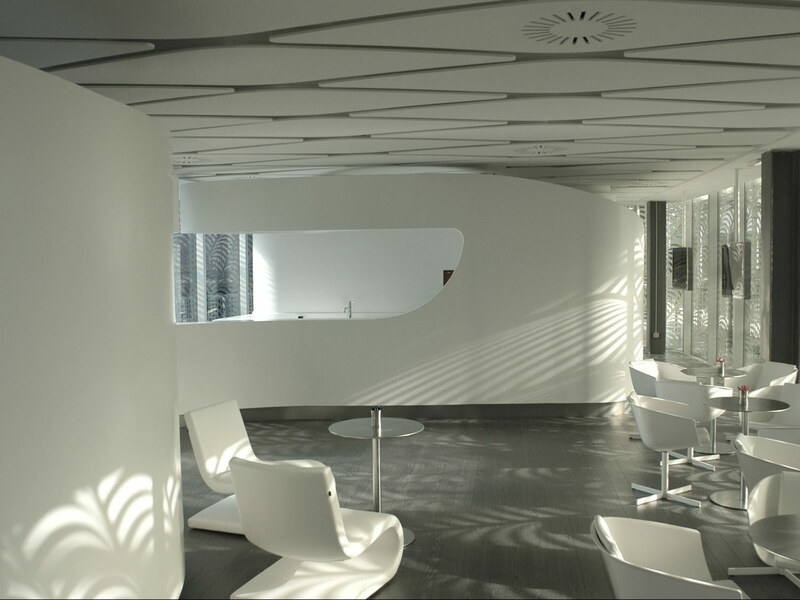 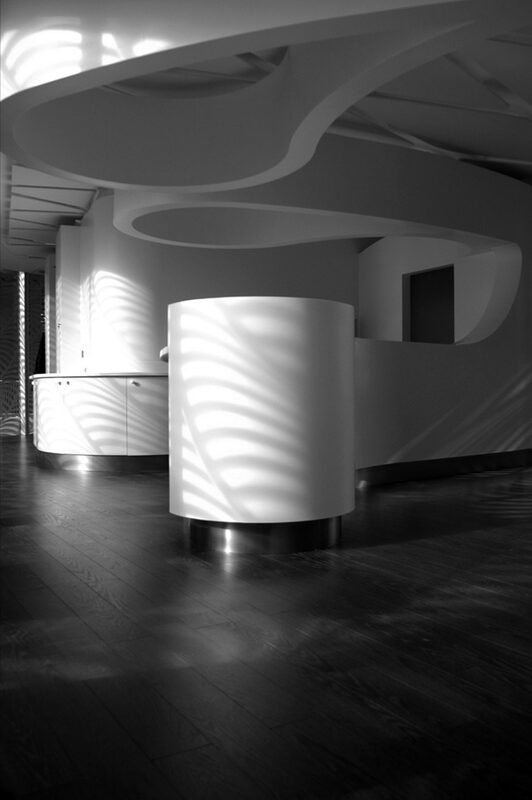 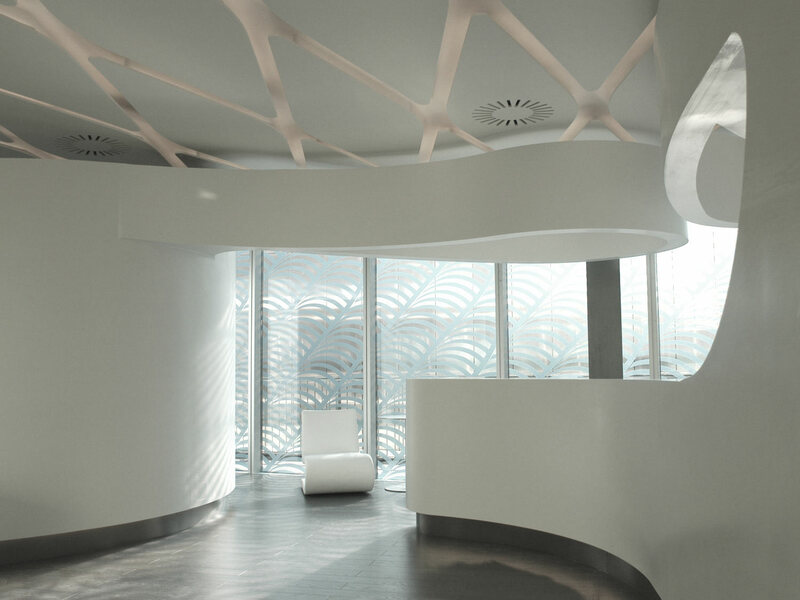 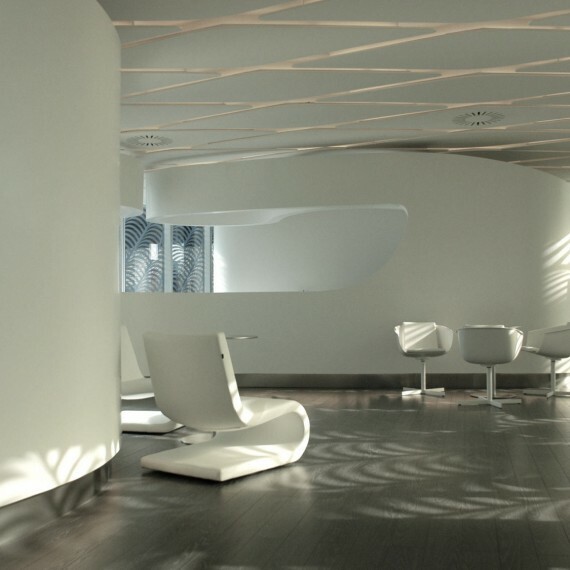 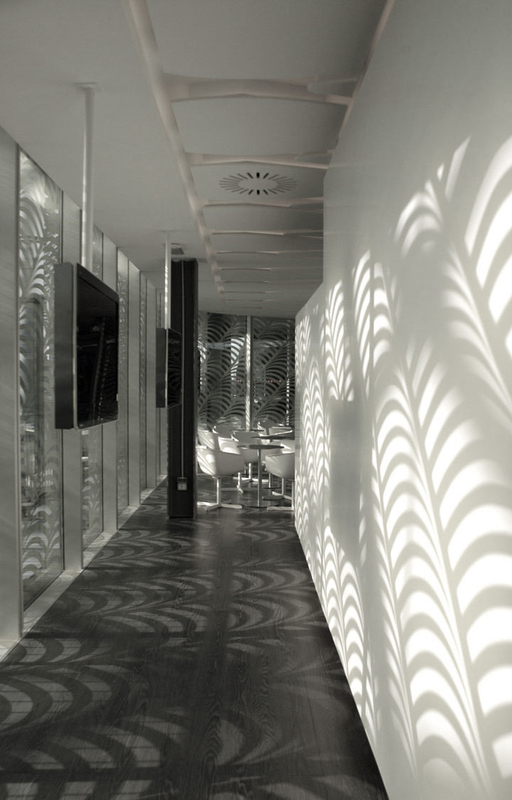 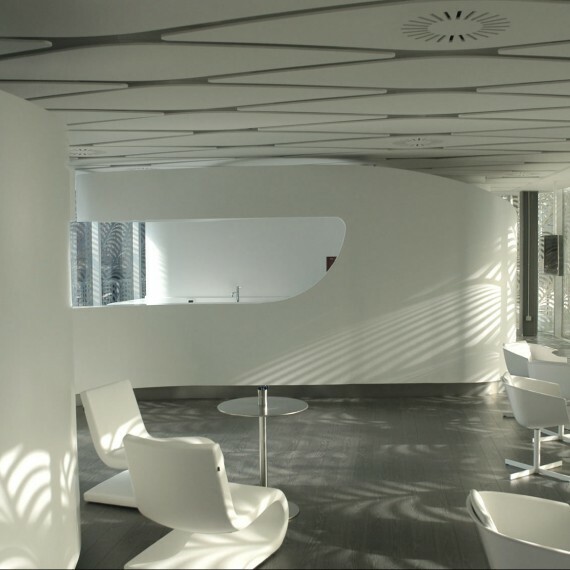 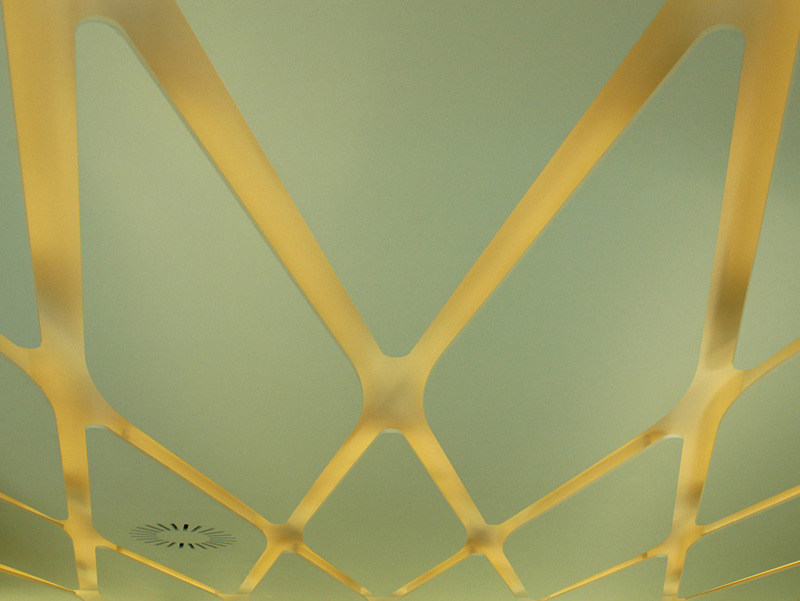 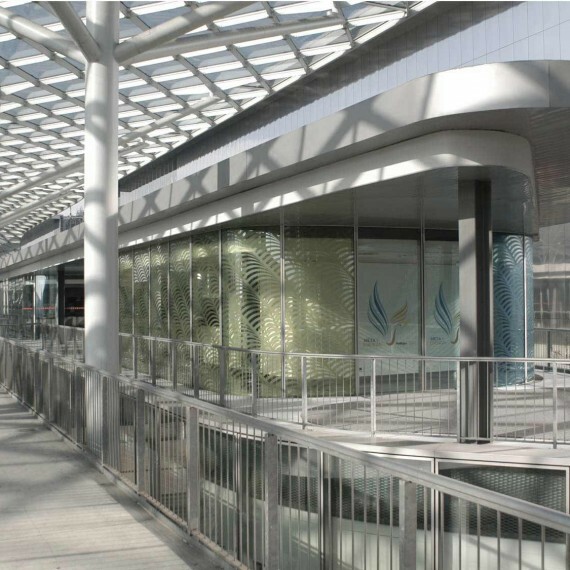 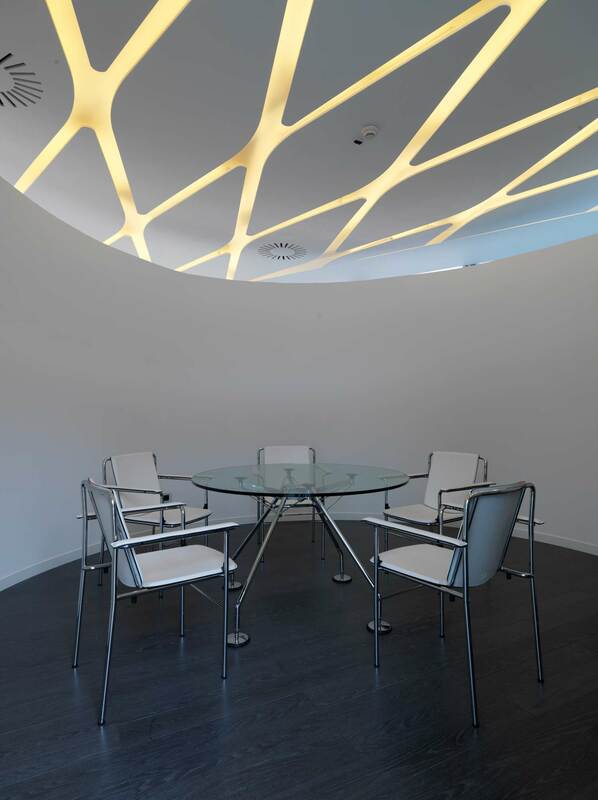 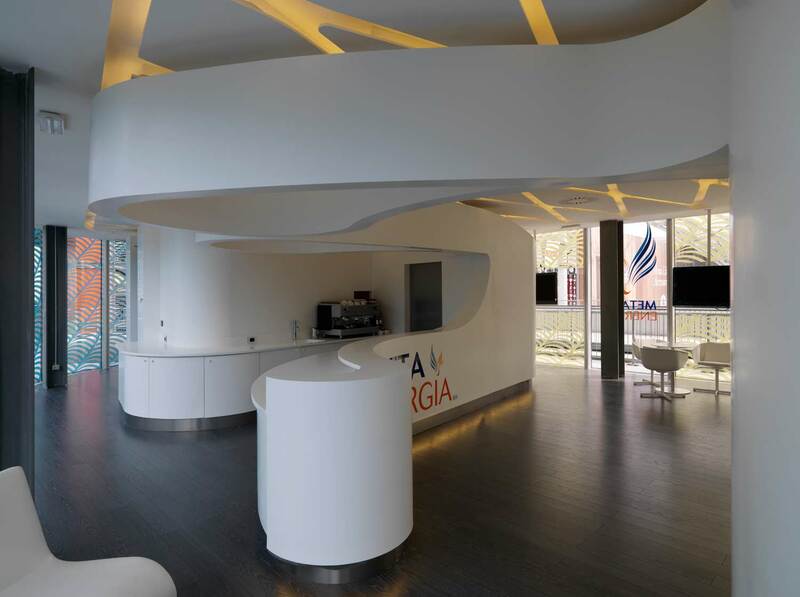 The curvaceous treatment of the white Corian material creates an unexpected event to visitors to the Fiera. 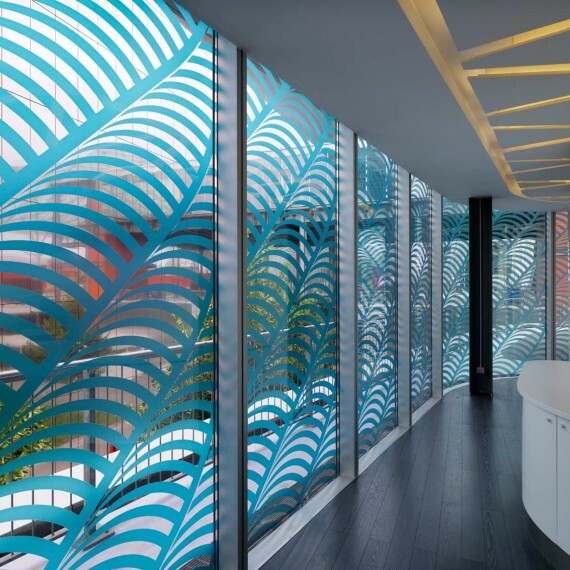 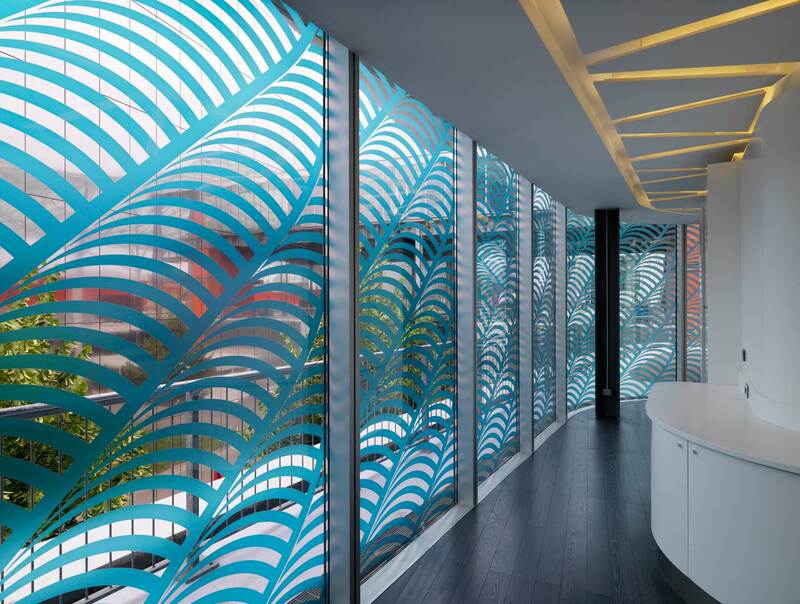 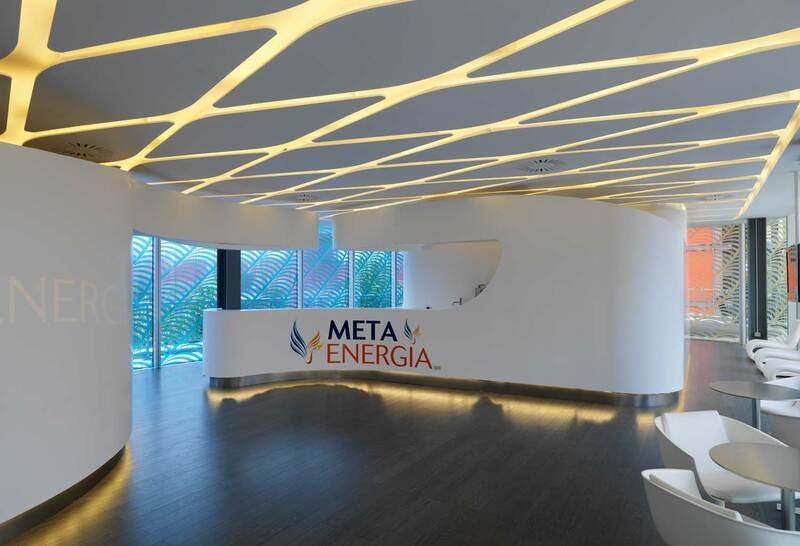 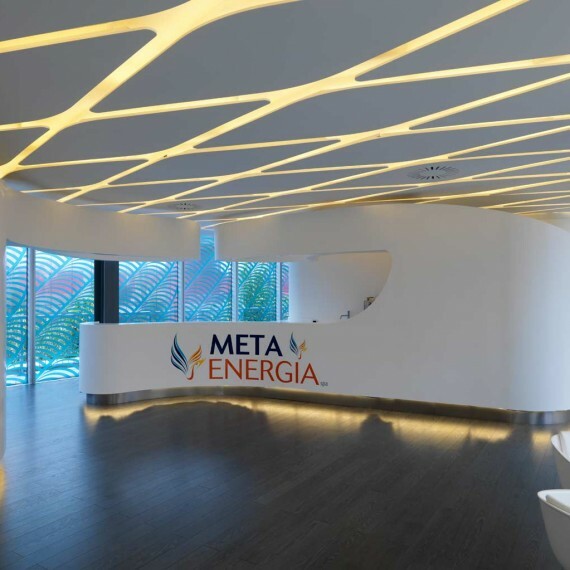 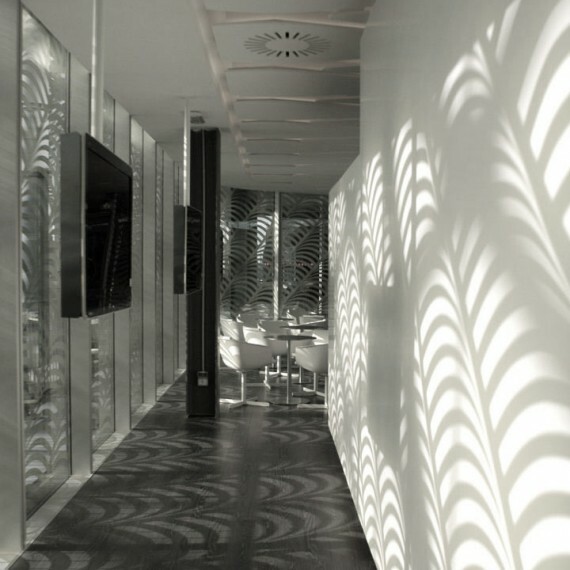 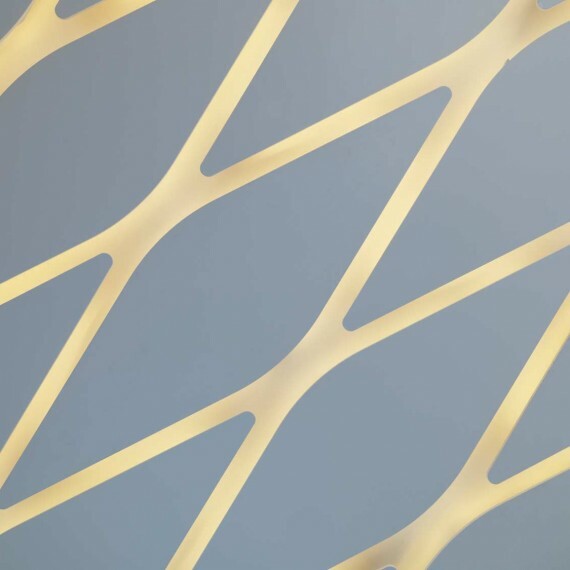 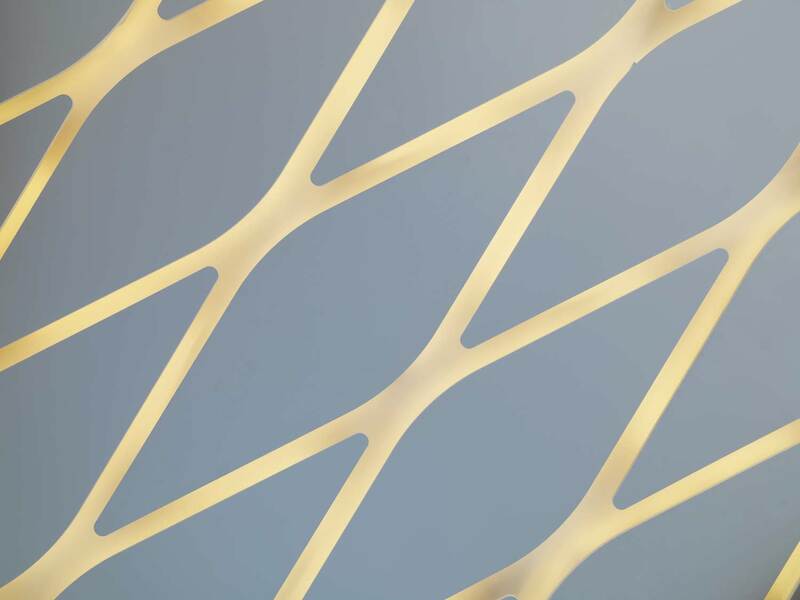 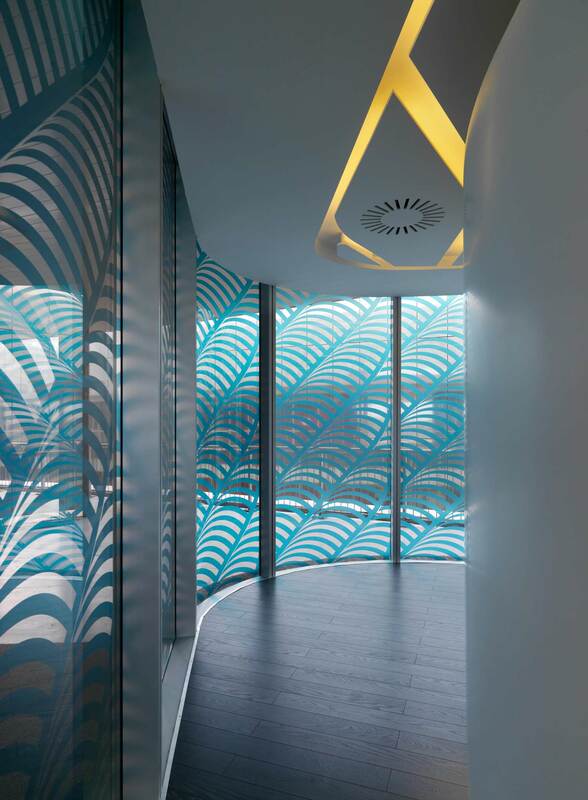 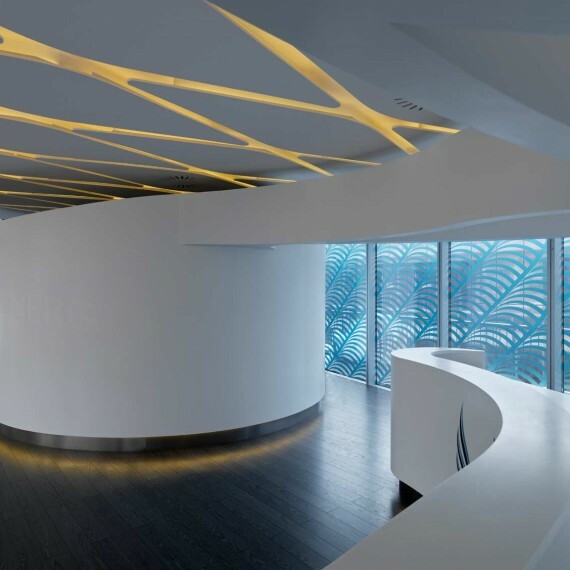 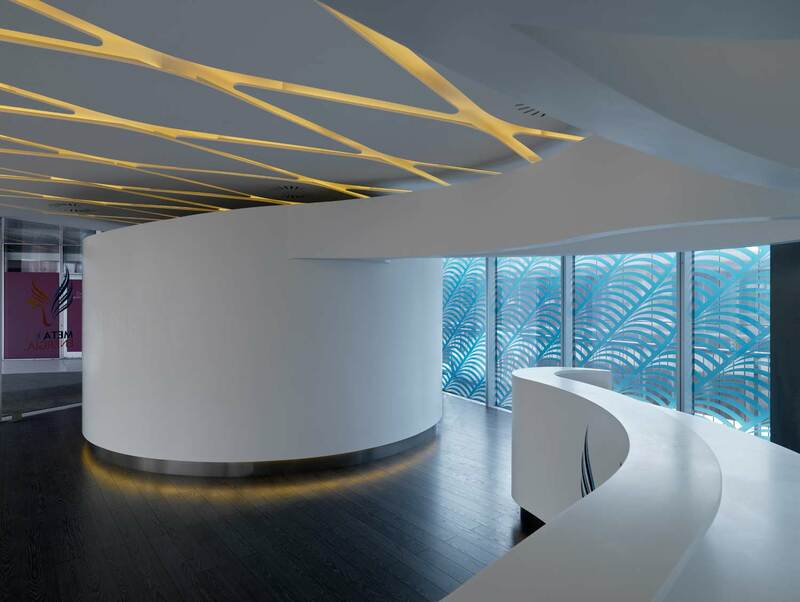 The glazing has been etched with the form of the Metanenergia logo which affords beautifully unusual light patterns falling on the curved forms.